Course participants Maricelly Johnson, Lina Ramirez, Lorna Simmons, Arisleidy Hassell, Mayela Cabral Hassell, Cecilia Gonzales and Amanda Aguirre. SIMPSON BAY–Members of the business community in Saba benefitted from a client relationship management course, which was facilitated by President of Training Professionals International (TPI) Natasha Gittens and her team on Thursday, October 18, in Saba. A similar course will be held for the business community in St. Eustatius in November. 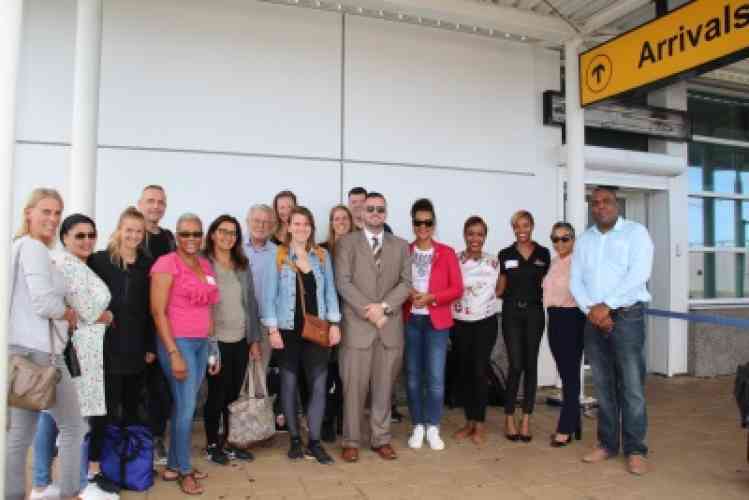 The course was part of a training development programme organised by the Chamber of Commerce in St. Eustatius and Saba. Customer Service Mobile Academy (CSMA), an affiliate company of TPI coordinated the training. TPI launched its sister company CSMA because it recognised that facilitating trainings at the location of organisations offered convenience, comfort and allowed participants to feel comfortable while learning. CSMA facilitates globally accredited courses in the Caribbean that directly helps service industry employees learn international current trends, exposes them to best practices in guest service excellence and teaches them how to deliver service that is memorable, encourages repeat visits and supports high ratings on social media. 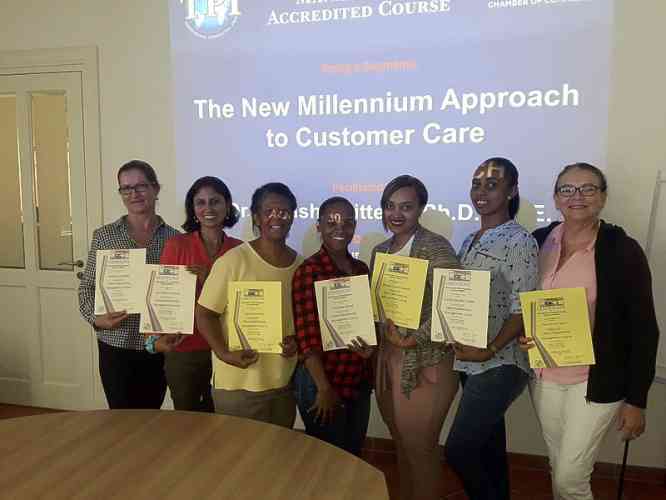 The course includes topics such as the new millennium approach to customer service, attitudes for service, customer service best practices, going above and beyond and managing customer expectations, amongst other topics. “There are certain customer service skills that every employee must master if they are forward-facing with customers. Without them business owners may run the risk of finding their business in an embarrassing customer service situation or you’ll simply lose customers as your service continues to let people down. This course will also provide participants with an overview of organisational culture and define how organisations are driven,” Gittens said. Some participants shared their thoughts on the course. “A positive attitude will take you a long way. Thank you for coming to Saba and making me a better employee and better person,” participant Lina Maria Ramirez said. “I have been working in customer service for over 15 years. Somewhere along the way I lost my motivation and my attitude changed. After this course, I am recommitted to providing customers with the best service possible. I was able to highlight my weaknesses, be inspired and recommit,” participant Cecilia Gonzalez said. “I learned the importance of listening to clients, colleagues, professors and all people I interact with daily. I will go above and beyond going forward to deliver the best service possible,” Lorna Simmons said.